Continuing with the front end work, yanking the spindle was a royal PITA. 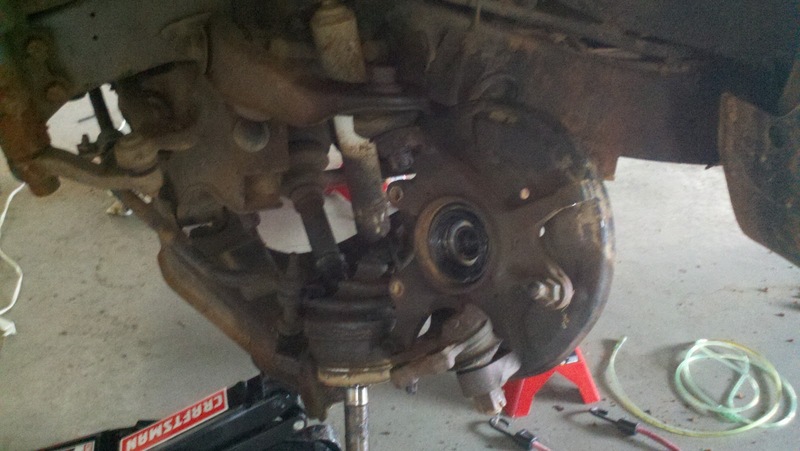 The left side upper balljoint was a horror. 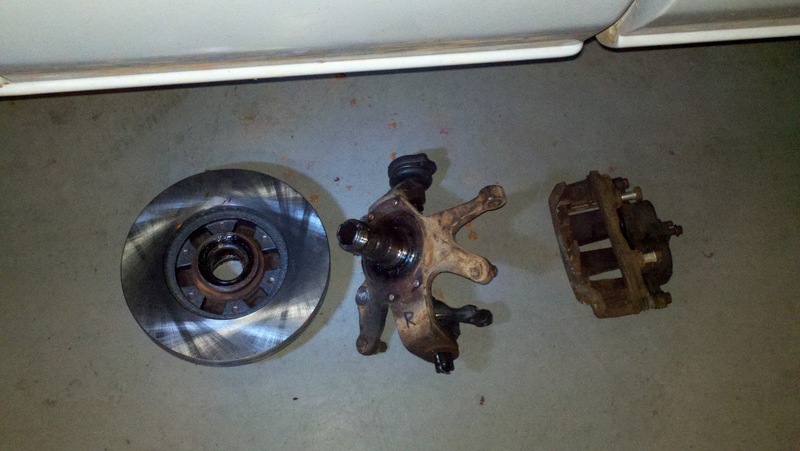 I beat on it and beat on it to get it out of the A arm, but it didn't want to budge. 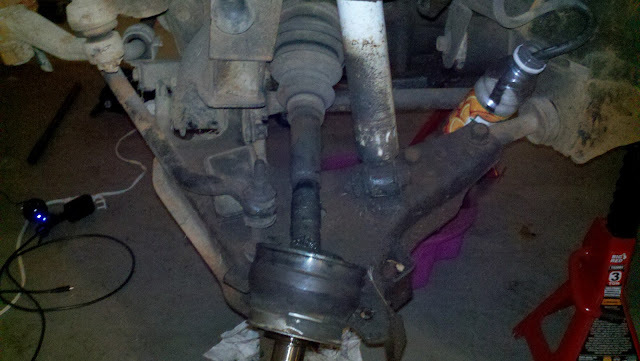 Photographic evidence of a ball joint being a douche bag. I sprayed WD-40 on it and tried beating it to no avail. Tried liquid wrench and moar beating and still nothing. 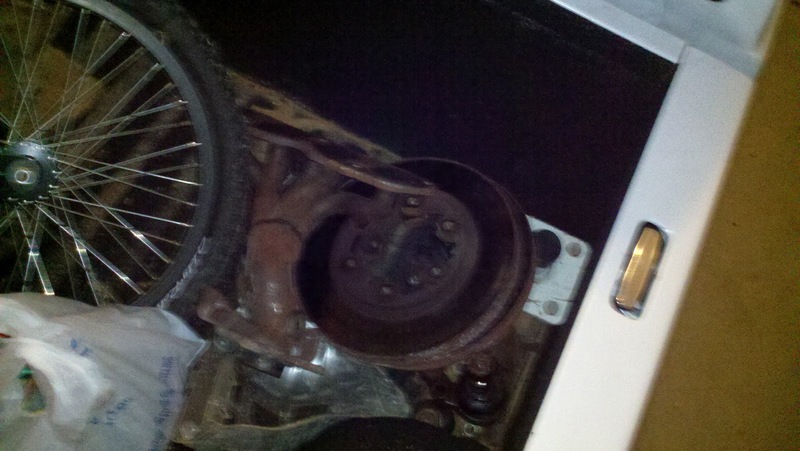 Sprayed it again with liquid wrench, then just moved around to the other side. Took the bolts out that hold the ball joints in on that side and the spindle just came right out. Would be nice if it's brother on the left side wouldn't be a jerk, but oh well. After getting the left side I got ill and beat the right side with all my might. Eventually the balljoint came loose. A friend let me borrow his OTC front end kit so I could pop the ball joints out. Tools and stuff. Srs bzns. 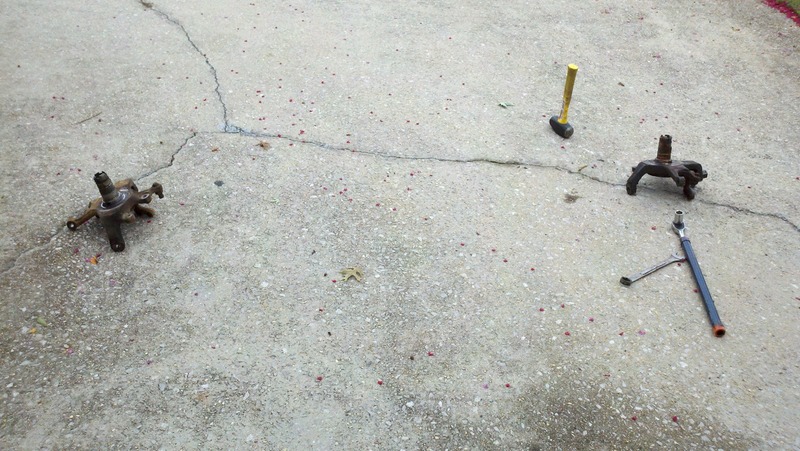 You know you're having fun when the 3lb hammer comes out. 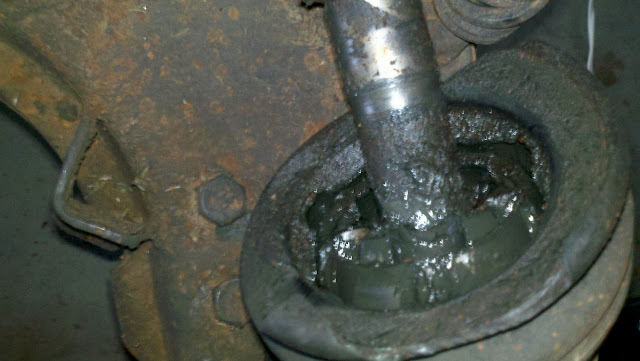 Time to do something about these CV axles... After much thought I decided I'd try to rebuild them, then was like j/k lol I'm just going to buy some rebuilt OEM ones from O'Reilleys. I went ahead and yanked the boots just to see the condition they were in, and think it was a good idea to go ahead and replace them. 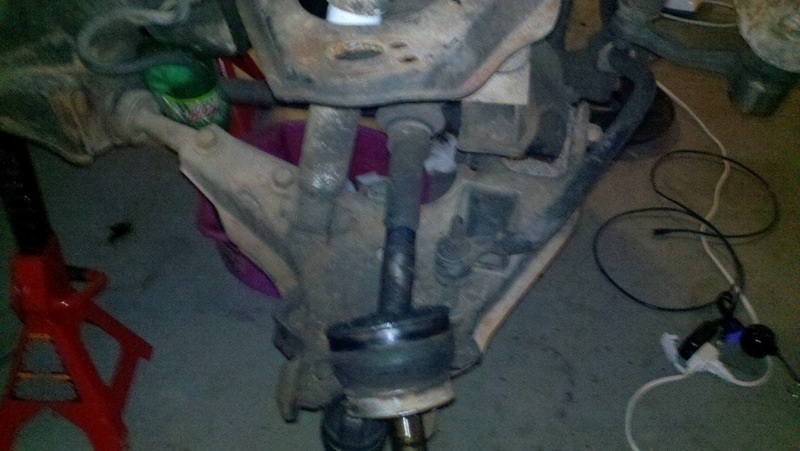 The new CV axles aren't in yet, probably be here next week. I'm ready to get this thing drivable again... Dad's getting ancy for me to get it out of the garage, and I'd like to have it running myself. There's already been a few times it'd be nice to have a truck again. Hope to have another update next week after the CVs come in. Wanted to go ahead and get the progress so far just so the next post won't have to be horrid long. 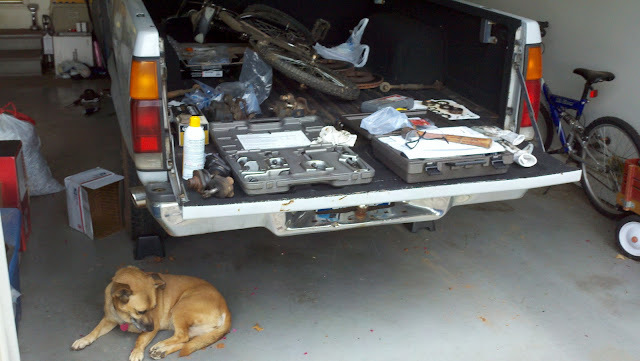 Pile of old truck parts and the old header from the Yaris.